Been dreaming about a new kitchen? Plain and Fancy's Shaker recessed door in Cascade white and Tamarind on cherry, augmented by Daltile/Calacatta counter and the stunning Dekton Trillium backsplash. Design by Arthur Zobel. 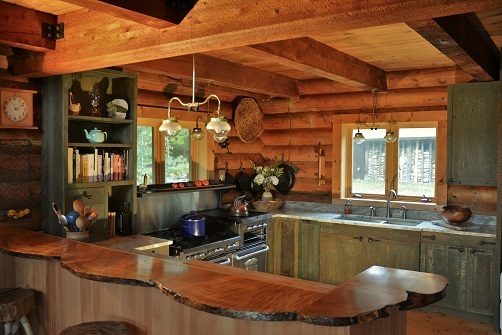 There’s so much more to kitchen design than crunching measurements through a software program. It’s a detail oriented process that takes in-depth knowledge about cabinetry and ergonomics, design skill and vision. 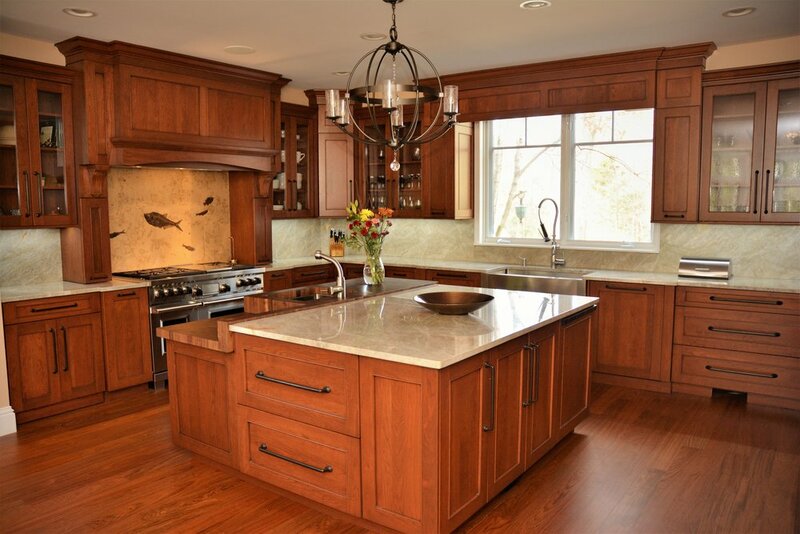 Zobel & Co. Kitchens has decades of experience creating kitchens for new and existing homes. Our design process. Designing your kitchen should be an extraordinary, collaborative experience. We listen, observe, and take in your home's surroundings so your kitchen reflects your personality, functions the way you cook best, and provides lasting enjoyment. Our showroom. With so many design options, so many colors, textures and finishes, where do you start? Start designing your new kitchen with a no-commitment visit to our showroom at 11 Broad Street in Glens Falls. We'll explain the differences in cabinet construction, how door styles influence the personality of your kitchen, and show you new features that will make your new kitchen easy to work in.